Patent: D697,591 S , (D) Acorn Engineering Co. 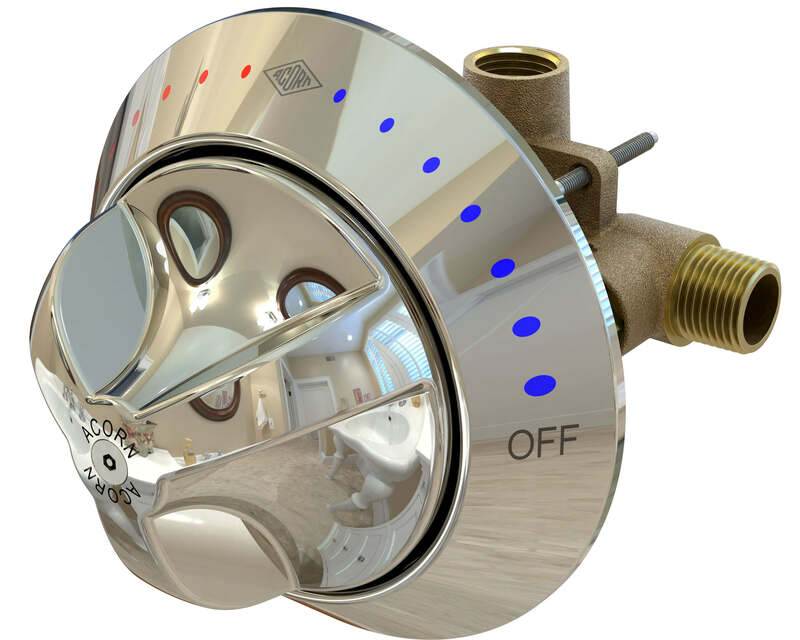 This option provides a large ball-joint showerhead. The head measures 3 inches (76 mm) diameter and 4.75 inches (121 mm) long. A lever allows user to change the spray pattern from a coarse stream to a fine mist. The showerhead is brass with a high polished chrome finish. The showerhead is complaint to ANSI A112.18.1M. This inline Hand Volume Control can be installed just before the showerhead. 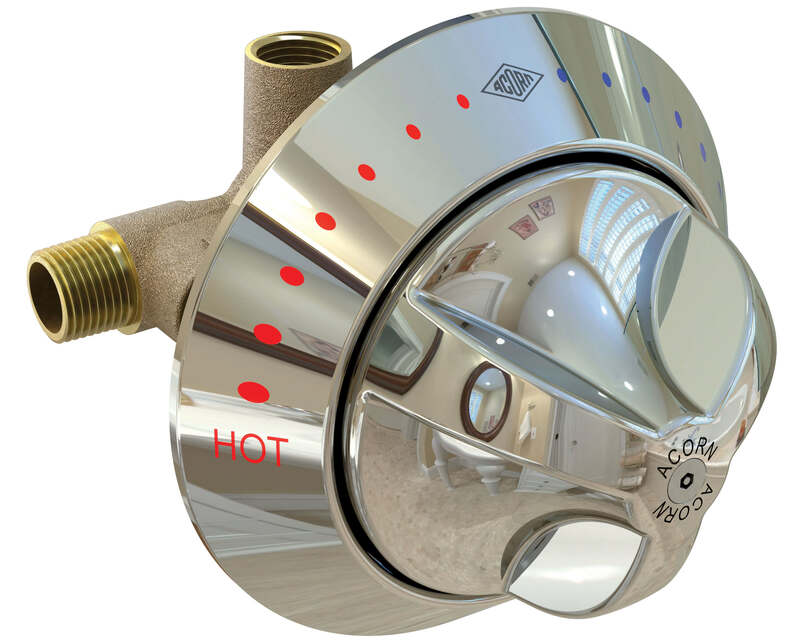 Acorn can provide an assortment of accessories to go along with the SV16 valve and other shower valves. 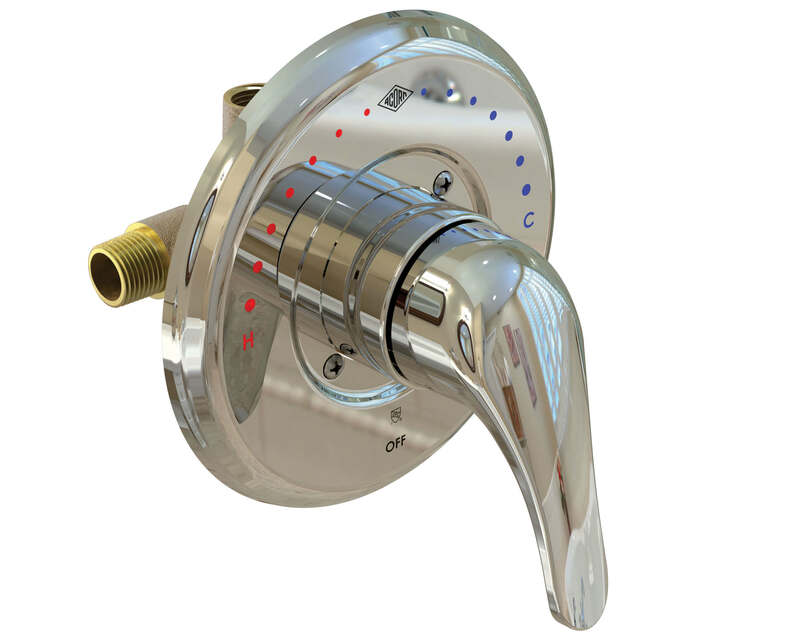 This provides a 60 inch (1524 mm) stainless steel hose for a handheld shower. This bracket mounts a handheld shower to an accompanying grab bar. The bracket is plastic with a white finish. The bracket separates into two parts; when the parts are assembled, overall dimension 4.5 inches (114 mm) wide by 6 inches (152 mm), it wraps around a 1.5 inch (38 mm) grab bar. A hook is provided to hang a handheld shower. This option provides a wall mounted bracket for a handheld shower. Acorn can provide an assortment of accessories to go along with the SV16 valve and other shower valves. This option provides a exposed elevated vacuum breaker.